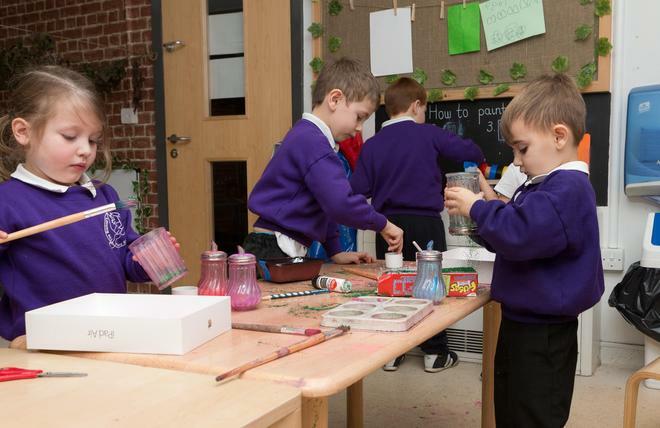 Here at Bishops, we work hard to ensure that all our children are learning through their own interests whilst providing a stimulating, engaging and exciting learning experience in which to develop and grow. As well as following the ‘Read, Write, Inc.’ phonics/ Literacy scheme, we also plan in the moment to ensure that each child is learning through play, and that no learning opportunity is ever missed. 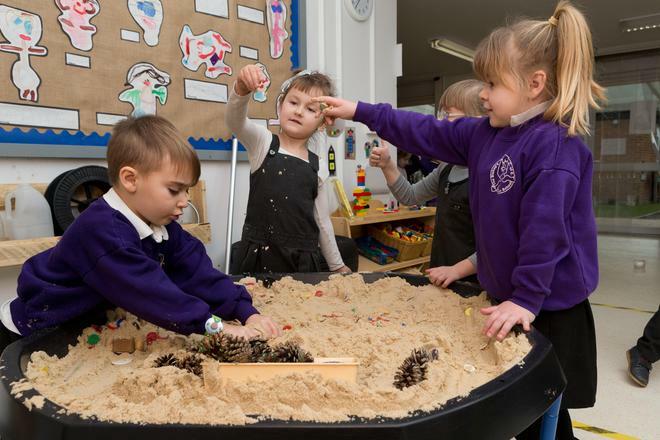 We believe in capturing all teachable moments, following the children’s interests, so that we fully support their progress across all areas of learning. We are very lucky that both Reception and Nursery are next to each other. This enables all children to integrate in our EYFS garden. This really helps our nursery children with transition to Reception as the children are familiar with both the setting and adults. The Early Years curriculum is made up of 7 areas of learning, these are split into Prime and Specific areas. All of these areas are integrated and taught holistically as opposed to just as discreet subjects. By teaching them holistically it enables us to ensure that all the interests of the children are being met and helps us to support, challenge, engage, motivate and enhance both individual and group learning. We understand what an important role each and every parent/ carer plays in supporting the wellbeing and development of their child. It is with this in mind that when your child starts Nursery or Reception you will be welcomed to the School through a ‘Home Visit’. This is a great way of us getting to really know you and your child within your own environment. We have found these visits to be invaluable as they also help to alleviate any worries or concerns you or your child may have, while allowing you time to ask us any questions about School. 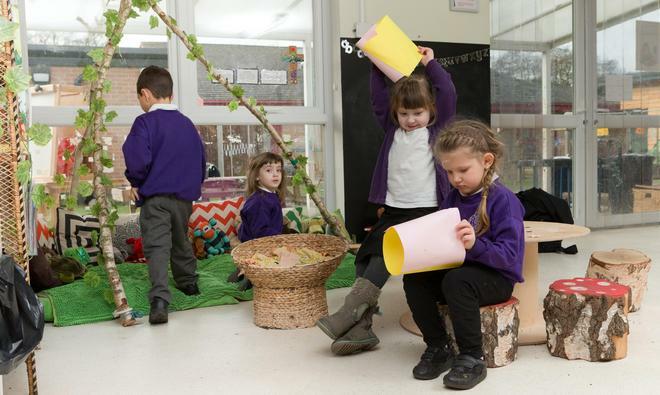 Throughout your child’s time in our Early Years setting there will be plenty of opportunities for you to come in and spend time with your child in class. Every half term we hold ‘Stay and play’ sessions or ‘Story Cafes’. During these sessions there will be lots of activities for you to do alongside your child, as well as opportunities to look through the hard copy of their Learning Journey. 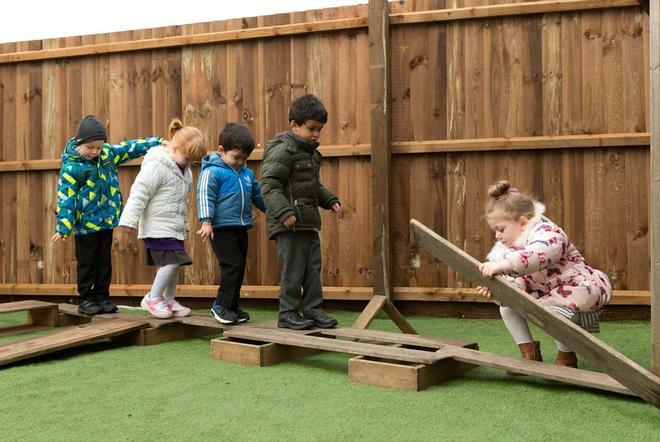 During their time in the EYFS, each child has their own ‘Learning Journey’. Here at Bishops we use the online journal called ‘Tapestry’. During your child’s home visit their teacher will talk you through how to set up an online journal to which you will be able to add photos, trips, fun activities or anything you’ve been up to at the weekend. This will then be shared with your child’s teacher who can develop learning activities based on these experiences or interests. We print each child’s Tapestry pages every half term so that each child has a ‘hard copy’ to look through and as a record of their learning throughout the year. You are always welcome to look at or share these ‘learning journeys’ with your child in their classrooms at any time. We look forward to working with you and your child on this exciting journey. Here are some webpages you may find useful when supporting your child's reading. BBC - Parents Page for information on reading, writing and number. Welcome to the Bug Club! Your child will receive a login to access a variety of good quality digital reading books.